As Canada’s largest financial center and a population of 2.7 million (and 6 million in the Greater Toronto Area/GTA), Toronto is a vibrant city in which to work and live. This can be illustrated by the number of short term rentals DelSuites has, across the GTA, now currently ranked number one by TripAdvisor in specialty lodging in Toronto and fifth consecutive winner of the Consumer’s Choice Awards in the Furnished Condo Rental category. We have touched upon the quirks of living in the city but here are a few things you should know about working in Toronto. The main industries in Toronto are finance, technology, and construction. It is home to the Toronto Stock Exchange (TSE) and to the third largest concentration of private IT companies after San Francisco and New York. Due to the 2015 Pan Am Games, construction has boomed in the metropolis for building of facilities and condominiums. According to a report in the Toronto Star, the surge in new jobs has been in health care, education, public administration, trades, finance, real estate, insurance, professional services, scientific and technical services, transportation and warehousing, accommodation and food services, and information, culture and recreation. According to the World Atlas (2014), Canada is the most educated nation in the world. 51% of the population has tertiary education and most jobs require a post-secondary diploma or degree. Toronto has one of the most prestigious universities in the world, University in Toronto. However, education with co-operative education or practical work-terms are gaining in popularity and success to working in the city. Examples include: George Brown College (known for hospitality and culinary arts); Ryerson (known for its media and journalism program); Humber College (known for its Public Relations program) and Sheridan College (known for its animation arts program). 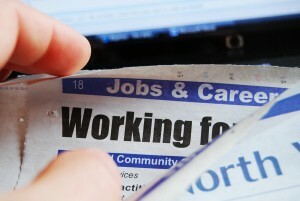 As of December, 2014 the unemployment rate is 7.2 percent, according to Statistics Canada. The labour market is very competitive and should you move to the city, it is important to make sure you have savings in case your job hunt takes longer than usual (on average four to five months). As part of shifts in the economy, employers are increasingly hiring workers on a part-time or contract basis, according to this report in the Toronto Star. This helps employers budgets by not paying for extensive benefits or pensions. As a result, many wo rkers in Toronto have more than one job or are becoming entrepreneurs. In an urban center like Toronto, where 40% of Canada’s jobs are situated, getting a job here is more about who you know rather than what you know with the competition of skills and education among its workforce. Networking is key, especially at trade conferences in your industry as well as informal meetups according to interest. LinkedIn and social media are also key tools for employers to find you. To help you with your job search working in Toronto, do check out this section of job boards on the city of Toronto’s website in its Employment and Social Services category. In the crux between downtown Toronto and Mississauga, not to mention just 15 minutes from the Toronto International Airport, our Etobicoke furnished rentals are conveniently located. Here are a few more reasons why living in Etobicoke Toronto are a great alternative to a hotel for a short-term stay. 1. Your ideal location for the Pan Am Games. The Etobicoke Olympium has recently upgraded its facilities as a training venue for the swimming and waterpolo sports at the games. 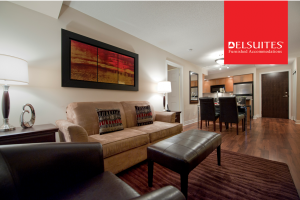 Our furnished suites in Etobicoke provide close proximity to train. 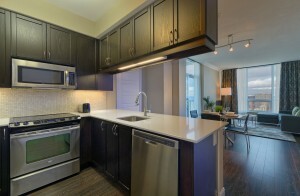 No need to travel more than a half hour from the athletes village near the Distillery District! 2. Award Winning Suites. We don’t have to tell you we are known for our modern suites, and full-service furnished apartments with all of the bells and whistles (including 24 hour security and a satisfaction guarantee policy). 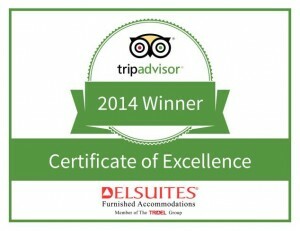 People know us for our quality because we won the 2014 Trip Advisor Certificate of Excellence. See what people are saying here. At the Nuvo and Parc Nuvo buildings, you get your choice of one or two bedroom suites in 22 story (Nuvo) and 36 story buildings (Parc Nuvo). 3. 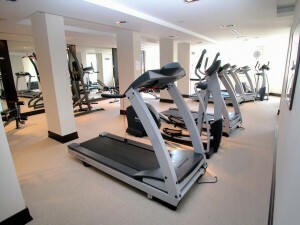 Full Service Amenities In addition to fully furnished suites (including ensuite laundry and a fully stocked kitchen), our Nuvo and Parc Nuvo location offer a 24-hour security desk, indoor swimming pool and whirlpool, billiards room and state of the art fitness facilities with aerobics programs. 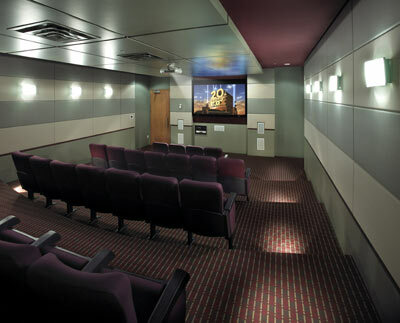 Our Nuvo property offers a Billiards Room & Virtual Golf Center, a Card Room with Library, a Party Room with Fire place, Kitchen & Bar, a Theatre Room, and underground, secured, assigned Parking. Our Parc Nuvo property offers an entertainment lounge with kitchen facilities, a party room with stylish bar, seating lounges, kitchen and private dining room; a boardroom, a billiards & cards room, a theatre room with large screen TV and surround sound; a rooftop terrace with BBQ’s, seating lounge and dining tables, and underground, secured, assigned parking. 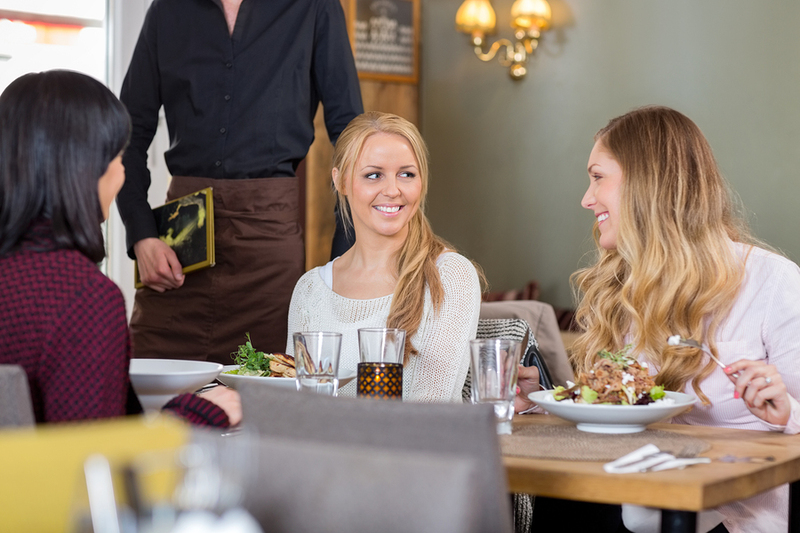 Both properties are your one-stop shop for entertaining or meetings. 4. Proximity The Nuvo buildings are within walking distance to the Kipling, Go Bus and Train Station (TTC). 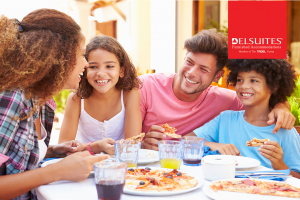 If you have a family, the suites are close to many schools in the neighbourhood. Major department stores and shopping malls like IKEA, Home Outfitters, Canadian Tire, Sherway G ardens, and the Cloverdale Mall are nearby, as are entertainment options like the Cineplex Odeon movie theatre. 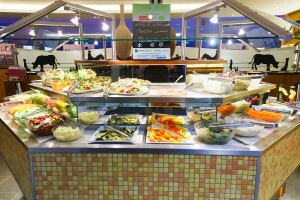 Don’t forget to check out the variety of activities in diverse Etobicoke here. 5. Pets Allowed! Don’t want to travel without Fido? No problem! 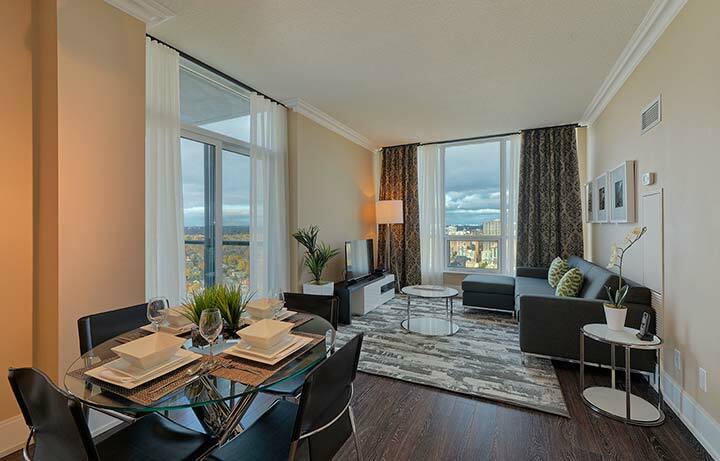 By living in Etobicoke in these furnished rentals, you are permitted one pet in your suite. In Phase Two of our Nuvo building you are allowed one cat. A reminder that all pets are to be leashed and carried through the Common Areas of the building at all times. 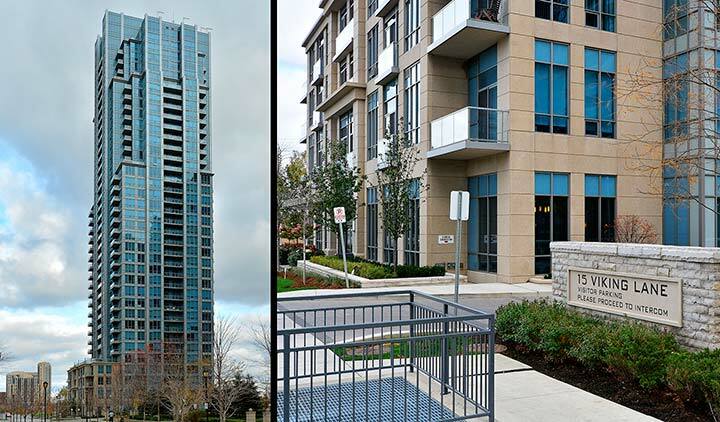 No matter the reason you are in Etobicoke, our Nuvo and Parc Nuvo properties offer the full-service living experience in the heart of the city. Enjoy your stay!